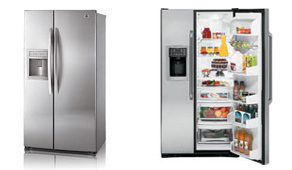 fast and reliable refrigerator repair service for residential customers in the Chicago area. Use the form below to contact us and one of our technicians will contact you immeditely to discuss the nature of your repair needs. We offer all all types of appliance repair including built-in, side-by-side, bottom mount, and under-the-counter designs. We understand that some appliances can be expensive, and repairing them can often be a better alternative to replacement.